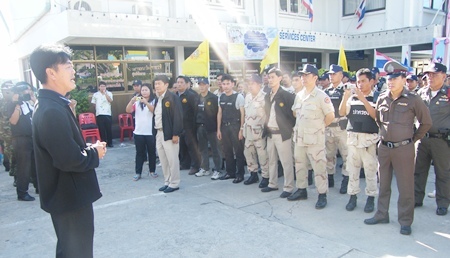 More than 300 police, military and government personnel stormed Koh Sichang, detaining 500 island residents for drug tests that eventually netted 22 arrests and the seizure of a small amount of drugs and weapons. Chonburi Gov. 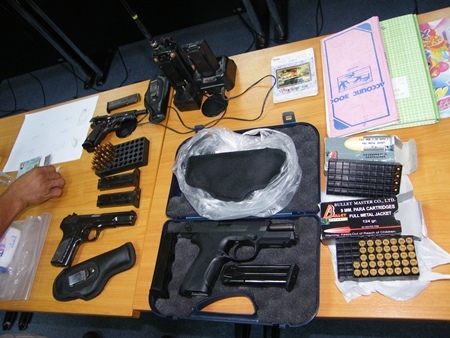 Wichit Chatpaisit led the Aug. 24 raid by Phutorn, marine and drug-control police as well as soldiers from the 14th Military Circle. Officers using drug sniffing dogs searched seven villages and 20 neighborhoods, confiscating an undisclosed amount of ya ba, 602 g. of marijuana, 0.2 g. of crystal methamphetamines, three guns and 61 bullets. Chonburi Gov. 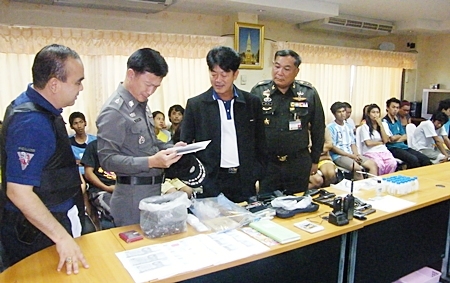 Wichit Chatpaisit and high ranking police officials pour over the confiscated paraphernalia, as those arrested sit and wait processing behind them. 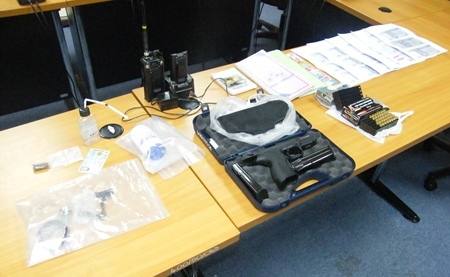 Eighteen people who failed drug tests were arrested and police also apprehended one alleged dealer, two people illegally possessing firearms, and another alleged loan shark. 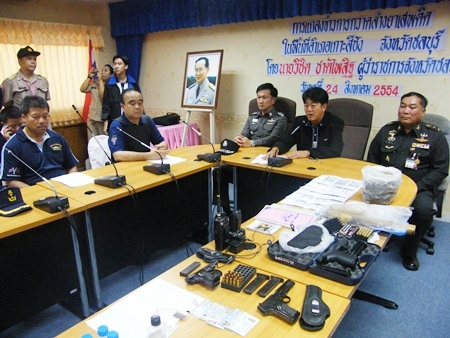 In a post-raid press conference, Wichit bragged that Chonburi has staged more drug raids and arrests than any other Eastern Seaboard province. In all, the province has arrested 16,792 people on drug charges, he said. Wichit said Koh Sichang has been a high-priority target and encouraged village chiefs and local police to ban from the island anyone found using drugs.